Whether you are a beginner or an expert, you probably already know one thing. Buying is as important as selling. Let me put that straight, mastering the selling side is essential but if you want to grow your business, you will have to become a master in buying. That means knowing what to buy, when, where and at what price. 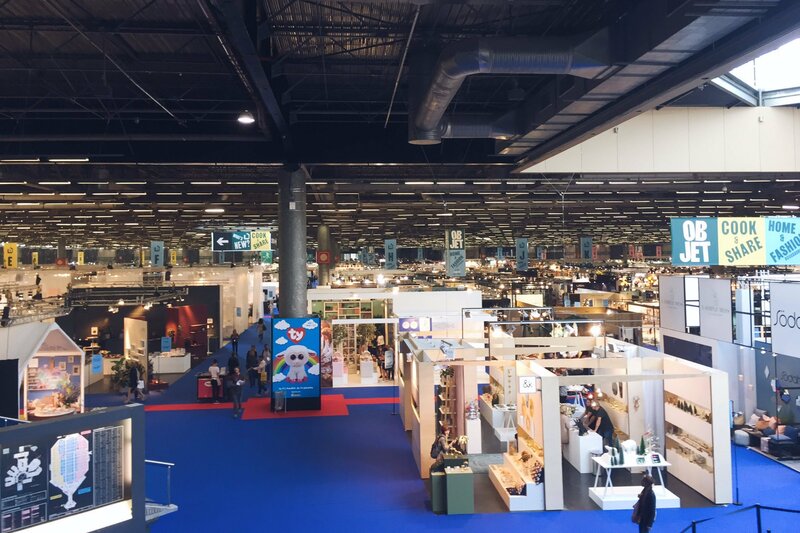 Growing your business goes along with protecting your margins and there is only one way to do so efficiently: sourcing on trade shows. With China being only a few flying hours away, sourcing products in Asia is the way to control your supply chain. Good news: sourcing easy but you better stay organised. Why? Well because trade show sourcing will oblige you to speak to many suppliers and collect a lot of information on the spot. If you don’t watch out, you will quickly lose ground and get lost in your hundreds of business cards. How to source efficiently? Well, let us introduce experts in the field: ShowSourcing. ShowSourcing is a revolutionary App that helps buyers organise their sourcing spree and keep track of their findings. With thousands of buyers, including some of the biggest amazon buyers out there using it, it’s the go to App if you want to level up you game. 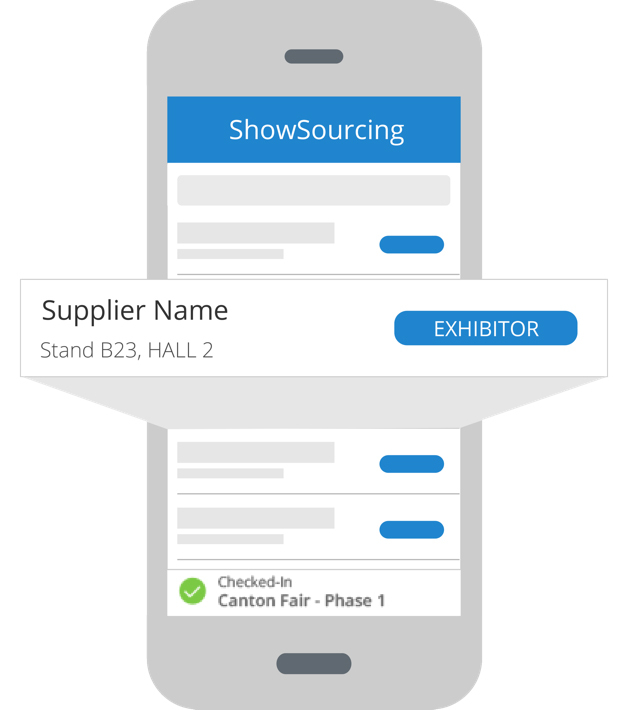 ShowSourcing will help you take notes during any trade show, easily save and share them as needed and follow up quicker, to reduce the time between the idea and skyrocket your amazon business! Add the suppliers you meet to your list, save their contact info and business cards. Take note of everything, MOQs, prices, incoterms and take pictures in a few seconds. Organise it your way thanks to projects and tags. Export your notes in pdf or download an excel file, ta-dah, you’re all done! When you get back home, everything is clearly sorted and ready to process. The best way to finding what you want, is actually knowing what you want. As an Amazon seller, there are dozens of tools out there designed to help you figure out what product you should buy next. From product research with JungleScout to Unicorns Smasher from the good guys of AMZTracker, finding what you want to source and researching your competition is easy. Do it beforehand, or you will be drowned in the amount of possibilities once you get to China. Inspiration always strikes whenever you’re not expecting it. If you meet a supplier who suggests something interesting, don’t dismiss it simply because it wasn’t on your procurement list. Make a note of it with ShowSourcing and take it under assessment once you get home. It’s no secret that a trip to China is expensive. There’s only so many fairs you can attend, and so many days to do so. Therefore, you need to talk to as many exhibitors as possible. If you’ve figured out what you want, there are only so many criterions you need to fix to make an efficient decision: make a list and remember to ask all those questions. ShowSourcing can here again help you to note all of it, making it easier to benchmark suppliers’ once you get home. There are two types of exhibitors at the Canton Fair: traders and manufacturers. The first ones can be identified by the variety of products they are offering. If a booth displays notebooks and toys, you’re probably in front of one! Sometimes it’s easier to work with a trader when you need to buy small quantities. However, be aware that they are an intermediary and therefore, take a commission. The second ones possess plants. Your job as a buyer, when talking to them, is to understand whether or not they can design the private label product you need. You typically won’t have a lot of time with each of them, so here’s the most important thing to learn: what they do well and what is outside their scope.Chinese manufacturers will always tell you that they can do something, even though they can’t and will really be asking another plant to do it instead. And that will again result in a commission. Once you get back home, you’ll need to follow up with the suppliers’ that interest you. Use ShowSourcing web to do so efficiently and make sure you’ve not forgotten anyone thanks to the tasks manager. You should always send a first email to remind them who you are, show them any relevant products you have sold on your store in the past. Afterwards, when it comes to asking for samples before ordering: don’t leave anything to chance. If you do not precise what color the lining of the bag you’re sampling should be, there is a good amount of chance that it will be hot pink, or of cheap quality. 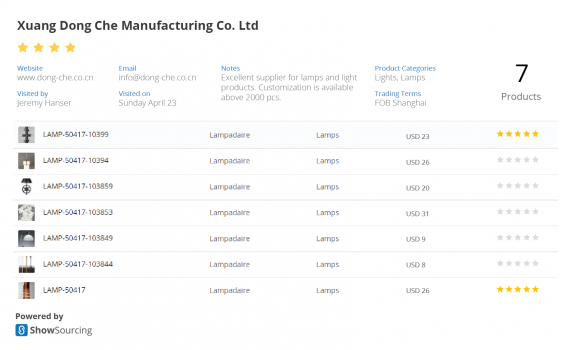 Successful sourcing in China often starts with clear communication with Chinese exhibitors on trade shows (read more: How importers find the best suppliers in China). 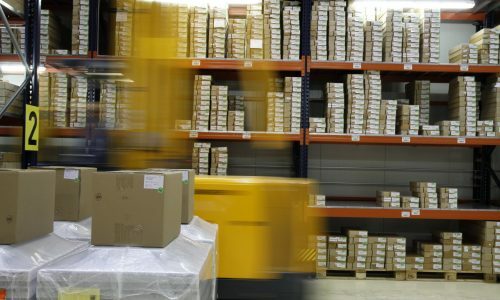 As an Amazon buyer, there is no doubt that if you’re looking into private labelling, you should skip the middleman and go to the source, in order to better control your supply chain and costs. When you do so, remember to plan you visit and your wishlist, to strive to understand the exhibitors capacities and to leave no place for improvisation. Elyssa is Marketing Manager at ShowSourcing, a startup which aims to to facilitate product trading globally for everyone, big or small. We do this by developing tools that enhance transparency, trust, efficiency and that are easy to implement. Her mission is to make sure every ShowSourcing user is having the best possible experience, she also really love emails.